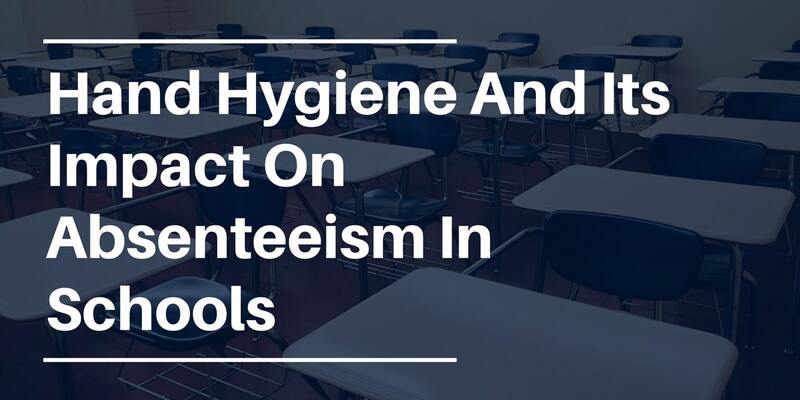 Student absenteeism is a critical component of school funding and is directly influenced, almost exclusively, by student health, much of which may be correlated to hand hygiene and school surface sanitation. Norovirus - The stomach flu, vomiting, and diarrhea. Surface-to-hand contamination is the most common method of germ transmission for these types of viruses. These germs have a surface survival rate of approximately 24-48 hours, depending on variable conditions, during which time they can infect anyone that comes in contact with them. An increase in hand hygiene practices has been shown in lab studies and real-world case studies to decrease the instance of infectious disease on surfaces and the corresponding occupant (student and teacher) absenteeism. In the U.S., funding for public schools is determined by student attendance. It is estimated that the average student misses approximately 4.5 days of school per year, resulting in more than $10 billion in lost funding. Another (estimated) $1.7 billion is lost to teacher absenteeism (roughly 5.3 days per year) due to paid sick leave and the additional costs of substitute instructors. Unfortunately, the financial burden of funding for schools is not the most significant challenge. Studies demonstrate that poor hand hygiene practices can contribute to an increase in community-based infections including gastrointestinal, skin and respiratory infections. Additionally, there has been a steady increase in the global burden of infectious diseases, resulting in an estimated 13 million deaths annually. Between 1980 and 1992, deaths attributed to infectious disease increased by 22%. This is a cause for concern as we continue to see a decline in hand hygiene promotion and education. Handwashing intervention programs in schools that focus on student education have demonstrated positive outcomes for all occupants, resulting in a significant reduction in absences, improved overall handwashing practices, and a decrease in observable germs and disease-causing bacteria. In addition to seeing a 71% decrease in school absences in the 30 days following the experiment, they said teachers reported observing, on average, an 89% improvement in hand-washing behavior among their students. Moreover, cultures from the hands of 10 students revealed an increase in resident skin flora, indicating a decrease in transient flora, which is most likely to cause illness. High-quality handwashing and high-performance sanitation and disinfection strategies are symbiotic within a facility focused on cleaning for health first. Avoiding the use of toxic chemical cleaning products that can be deadlier to occupants than the germs they are removing. Focusing on preserving and improving the world we intend to leave the children that are being raised and educated within the public school system by eliminating harmful waste byproducts that pollute the environment. As time goes on, more and more studies are establishing a strong correlation between hand hygiene, surface contamination, and occupant absenteeism in schools. The largest contributor to absences from school is illness. Teachers and children alike are missing school because of easily avoidable illnesses, which could be greatly reduced by correct hand hygiene techniques being taught, particularly in primary schools. Absenteeism in children can massively impact their learning and class performance. Absenteeism also affects parents, who are forced to take time off to look after their ill children. While an increase in cleaning and infection control and prevention procedures is typically advisable for most schools and businesses, up to a point--past a certain level, it becomes an unnecessary waste of resources and ignores the most critical component--hand hygiene. Successful large-scale handwashing campaigns are only possible with the right tools, and the right partnership can help you get started right away.